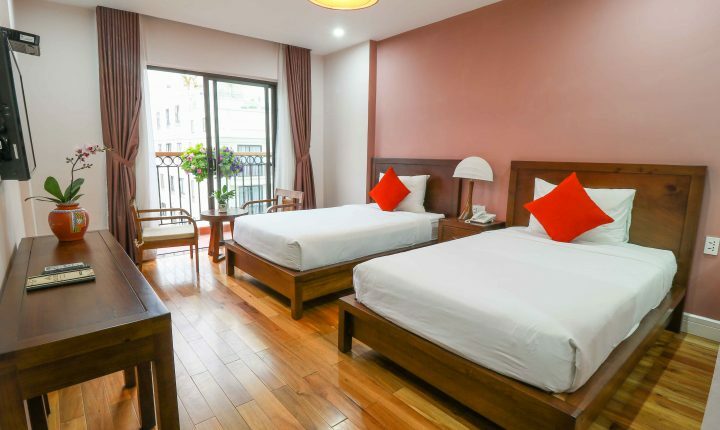 Our Eco Twin has a spacious area, comfortable twin beds, elegant decoration with wooden tea table and chairs. 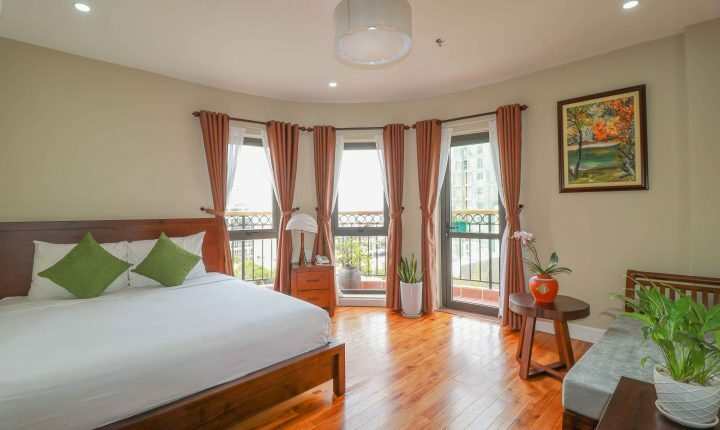 The room has a flowery balcony where you can enjoy amazing view over Da Nang city and My Khe Beach. 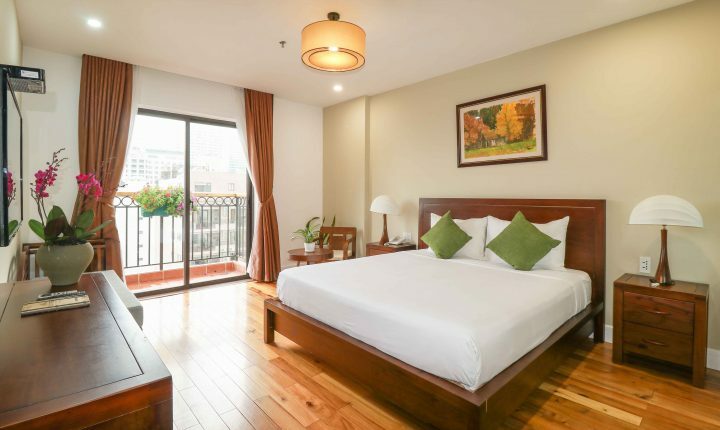 Situated on the corner of the hotel, our Eco Cosy offers more windows and a broad view of My Khe Beach & Da Nang city. Guests will enjoy a spacious area, modern interior design of wooden furniture, a cosy and relaxed atmosphere. As our signature room, Eco Suite is designed with the finest elegance & ecological charm. The suite is decorated with a wooden sofa, greenery plants, and a balcony which promises a beautiful view over the city & My Khe Beach. 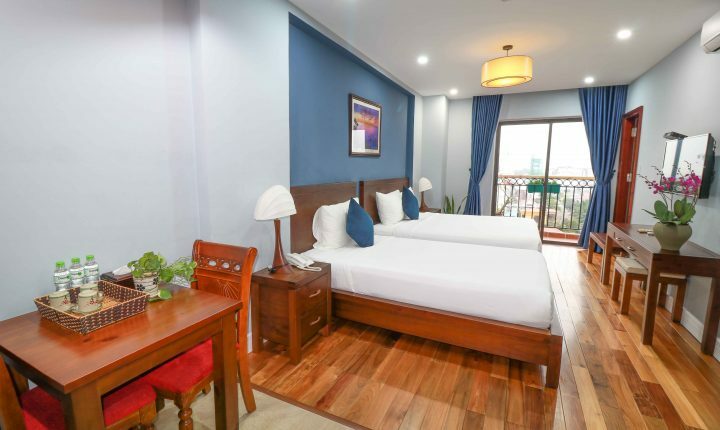 Our Eco Family has a perfect fusion of comfort and convenience for your stays with family and friends, in a spacious area, a large king bed and a twin bed & a dining table set.